Emmanuel Macron celebrated France’s WIN over Croatia in the World Cup FINAL with his own animated display of patriotism. The French president was seen wildly jumping up and down in the VIP area. Just next to a more subdued Vladimir Putin, the Russian leader, and Kolinda Grabar-Kitarović, Croatia’s president. 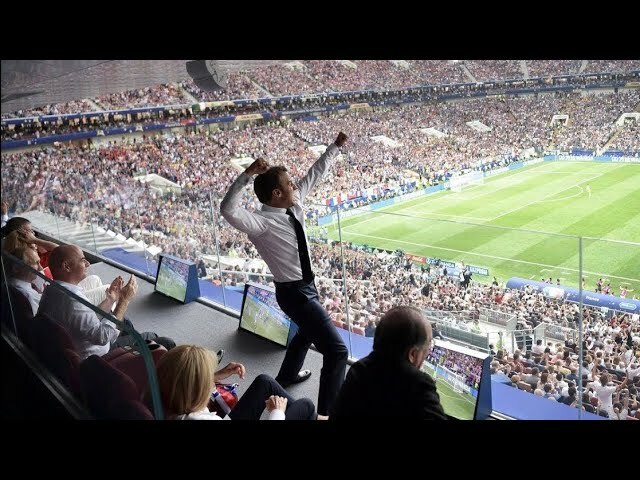 Before embracing the players after the final whistle, Mr Macron was pictured pumping his fists in the air as he looked down on the packed Luzhniki Stadium in Moscow.